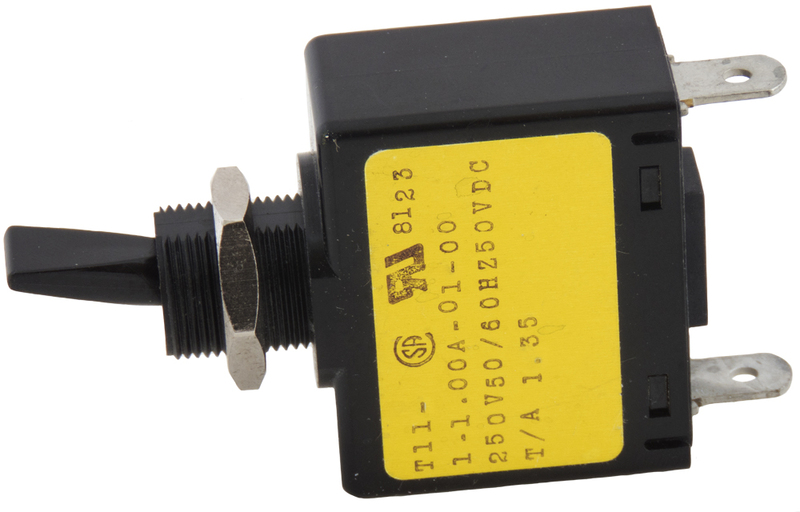 Sensata Technologies for Texas Instruments (Klixon) vintage circuit breaker. 8 amp. 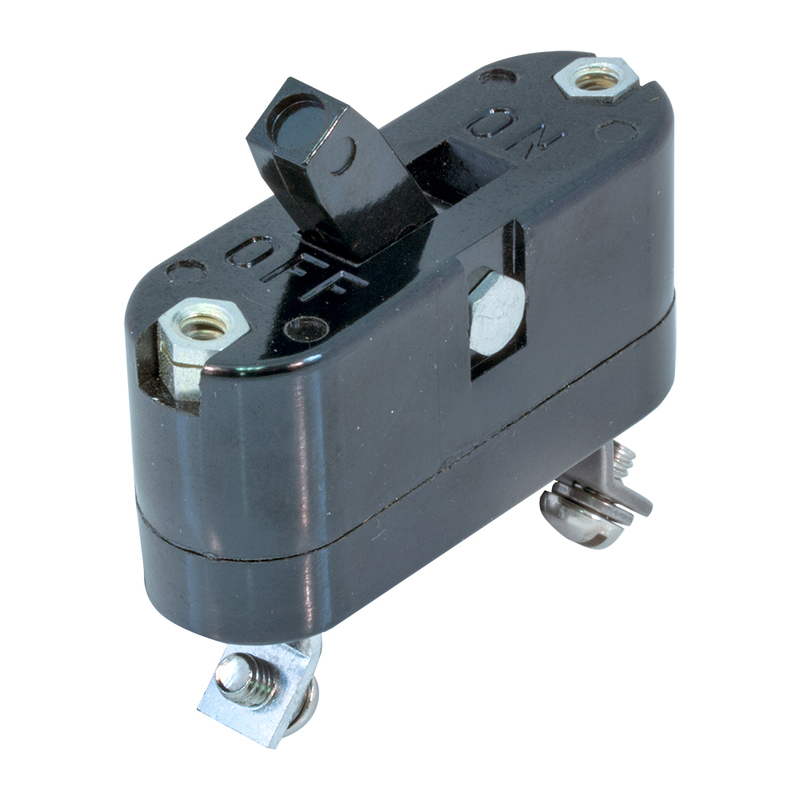 Single pole circuit breaker, aviation. 2 screw terminals. 30v DC operating voltage. 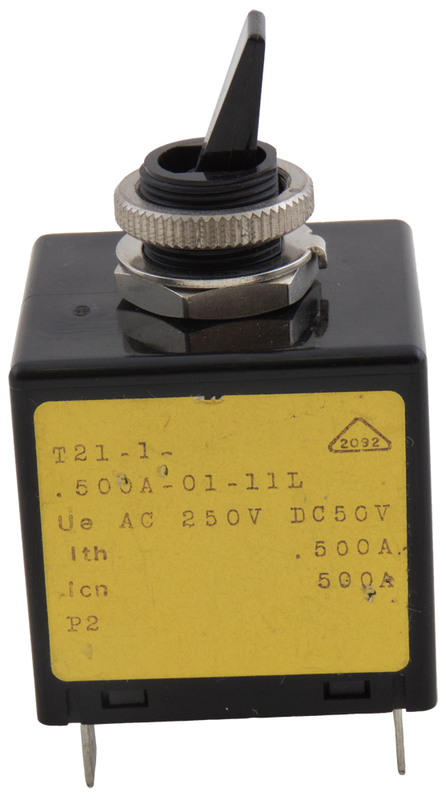 1,500 amp DC interrupt capacity; time delay thermal magnetic trip release. 1,000 seconds ultimate trip time. Manual reset. 2.20"L x 0.765"W. USAF surplus. New in the package. 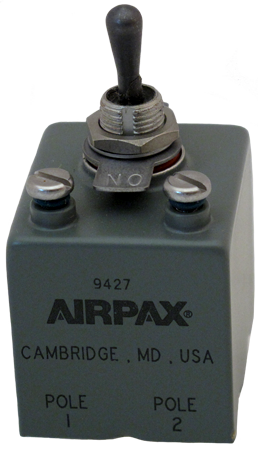 Airpax single pole circuit breaker. 1 amp, 250v AC, 50/60 vDC, 250vDC. 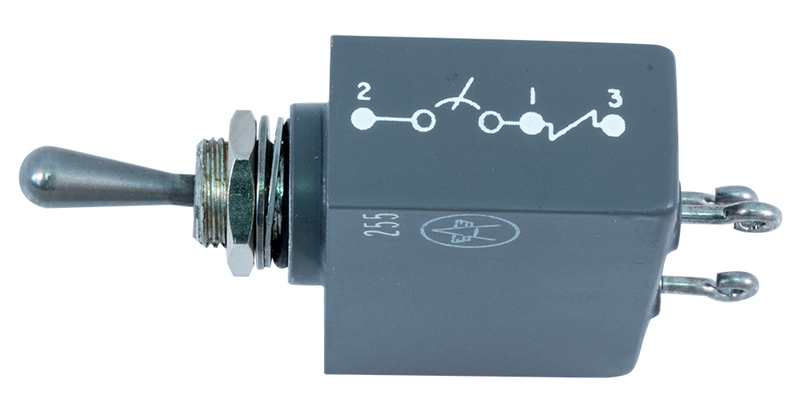 T/A 1.35, trip amps. Panel bushing mount in 1/2" hole. 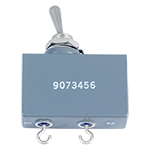 Airpax dual pole panel bushing mount circuit breaker. 0.5 amp, 250v AC / 50v DC, 50/60 Hz. 1/4" spade terminals. 1.3" x 1.37" x 0.137" behind panel. Airpax single pole aircraft grade hermetically selaed breaker. 120 vac, 0.2 amp. Toggle bat. 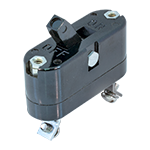 5/8"W x 1-1/2"H x 1-1/8"D.
Airpax circuit breaker. Single pole. Aircraft grade. 120v, 0.80 amps, 50/60 Hz. 1-3/4" x 0.6" x 1.15" deep. NSN: 5925-00-989-4713. 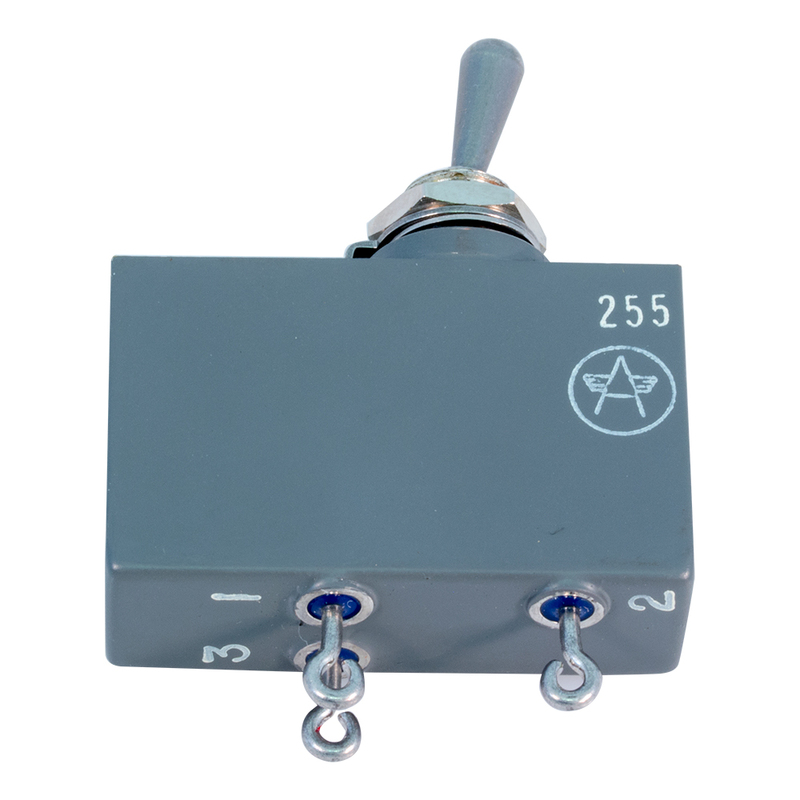 Airpax 3 terminal toggle breaker. 0.60 amp, 120v, 50/60 Hz. Sealed. 0.594" x 1.74" x 1.6" behind panel depth. 3/8" bushing mount. 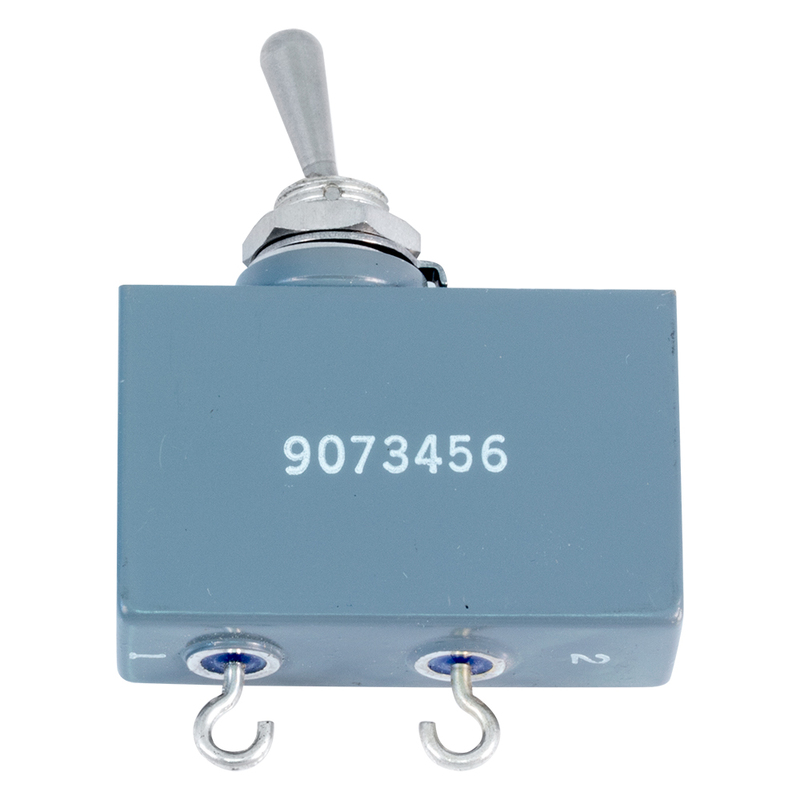 Airpax toggle breaker. Aircraft grade. 6 amp, 120v AC, 400 Hz. Hook terminals. 5/8" x 1-1/4" x 1-5/8" behind panel depth. 3/8" mounting hole. New, circa 1966. NSN: 5925-00-660-6610. 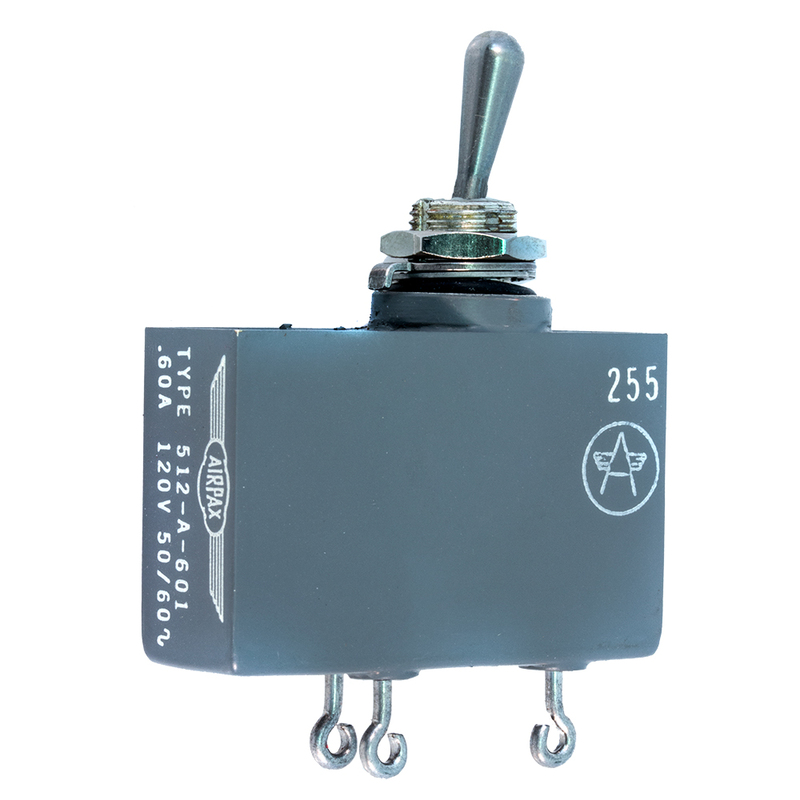 Two pole aircraft grade hermetically sealed breaker. Toggle bat. Solder terminal hooks. 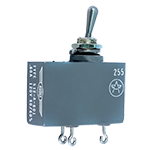 Three pole aircraft grade hermetically sealed breaker.